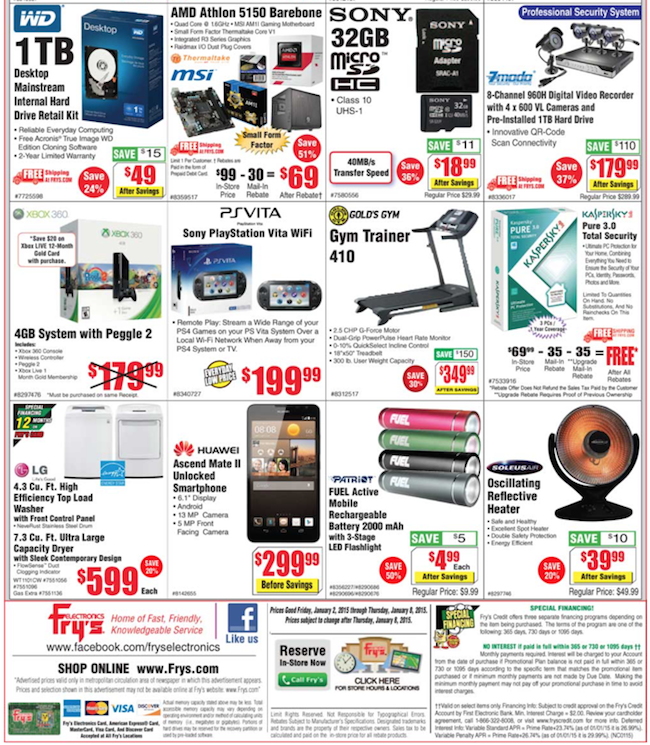 Here is the Fry’s electronics weekly ad release on January 2, 2015. It is valid until January 7, 2015 or until supplies last. Fry’s electronics is a massive electronics store selling everything from computers, to appliance, to tvs. 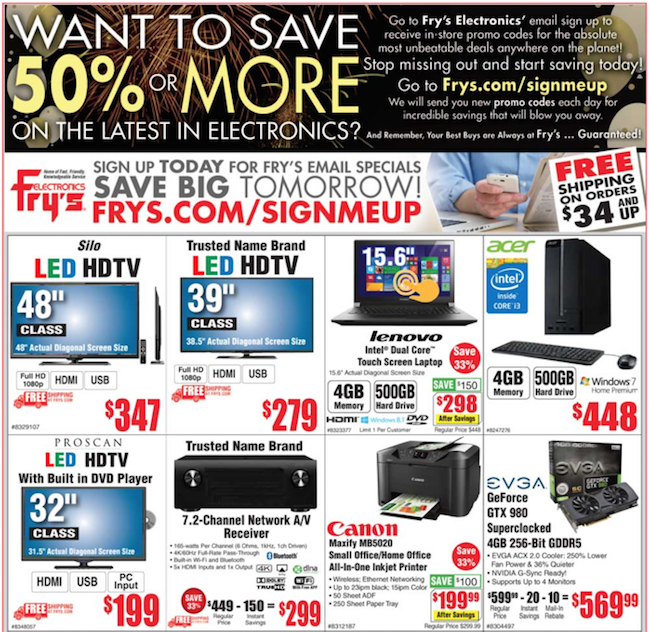 This Fry’s ad is all about deals on tvs, tablets, movies!